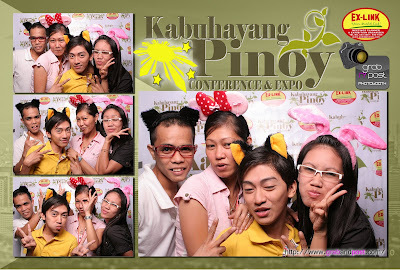 The Kabuhayang Pinoy Expo, May 5-7,2011, Trinoma Activity Center provides a lot of business seminars, games and activities that visitors will surely benefit and enjoy. Now on its second year, the event promises every visitor a summer treat that can help them boost their economic standing because of the many available business showcase and opportunities available during the event. The event also assures the visitors entertainment and learnings that can make their time and effort worthwhile during their visit. 12:00pm Movement Dance Studio Inc.
2:30pm Why Be An Entrepreneur? 5:30pm Air 21 Sagot Ko Padala Mo! Mr. Jeric Lee, President, Significance Inc.